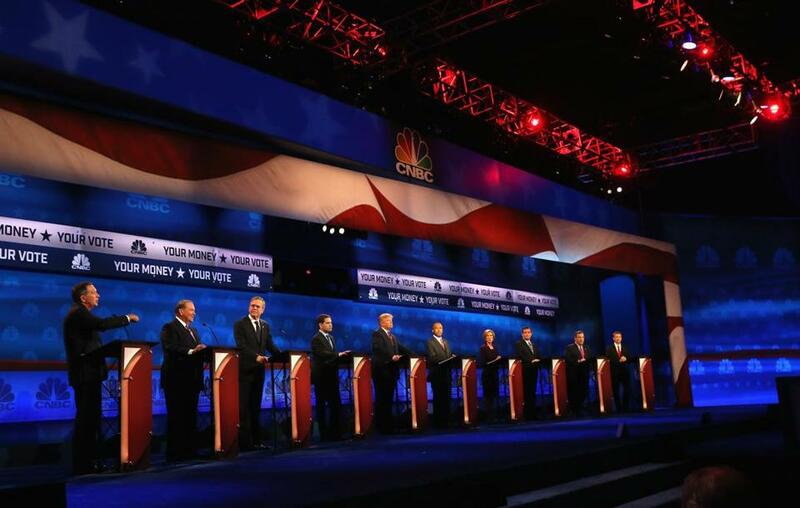 The CNBC moderators nearly lost control of the asylum during Wednesday night’s Republican presidential debate. As I watched Governor John Kasich of Ohio at Wednesday’s GOP debate trying desperately to come off as the standard bearer of sanity, I thought of a stunning political moment I’d witnessed a few weeks earlier. It took place at a focus group at Harvard’s Institute of Politics, with a group of politically active college students from around the country — exceptions to the rule of millennial disengagement. Moderator John Della Volpe asked them to talk about candidates they favored. Mikayla Bodey, from Ohio State, stood up and told the kind of story every politician dreams about. She had met Hillary Clinton at a “women for Clinton” event. She had looked the candidate in the eye, shaken her hand. And when Clinton told her, “We are going to do this together,” Bodey had cried. Genuine tears! And yet, she confessed, she’s still undecided. She likes Kasich, her home state governor, too. A room of onlookers was floored by this; on paper, Clinton and Kasich represent two different ideological universes. And, as far as Clinton goes – my God, what does the woman have to do to seal the deal? But really, Bodey’s ambivalence suggests a bipartisan hope that’s nearly absent from the current political conversation. As she told me afterward, she’s torn between two appealing things: Clinton’s message, Kasich’s record. What she doesn’t buy is the need to commit, at this point, to one side. This is partly a millennial thing, but it’s also a broad theme in a year marked by frustration among voters of all ages. Early on, Donald Trump found a way to tap into the sense that both parties are problems; unfortunately, his crudeness has set the tone for every Republican candidate debate. On Wednesday, Kasich was so desperate to register as the reasonable one that he came off as mildly unhinged. Chris Christie got on board by yelling about fantasy football. Cruz gave a boilerplate rant about the media. I can only imagine what she thought of Wednesday’s debate, in which the CNBC moderators nearly lost control of the asylum. To be fair, the event wasn’t entirely substance free. Amid the clunker questions, there were some real exchanges about Social Security, tax rates, and high-skilled immigration. But it’s hard, in a 10-candidate format, to deliver anything near what casual voters want from this process — the vetting of records or the genuine personal moments. These debates have moments of high entertainment, but as tools for engagement, they’ve run their course.